This product has been discontinued. View end-of-life status for HID Global products. 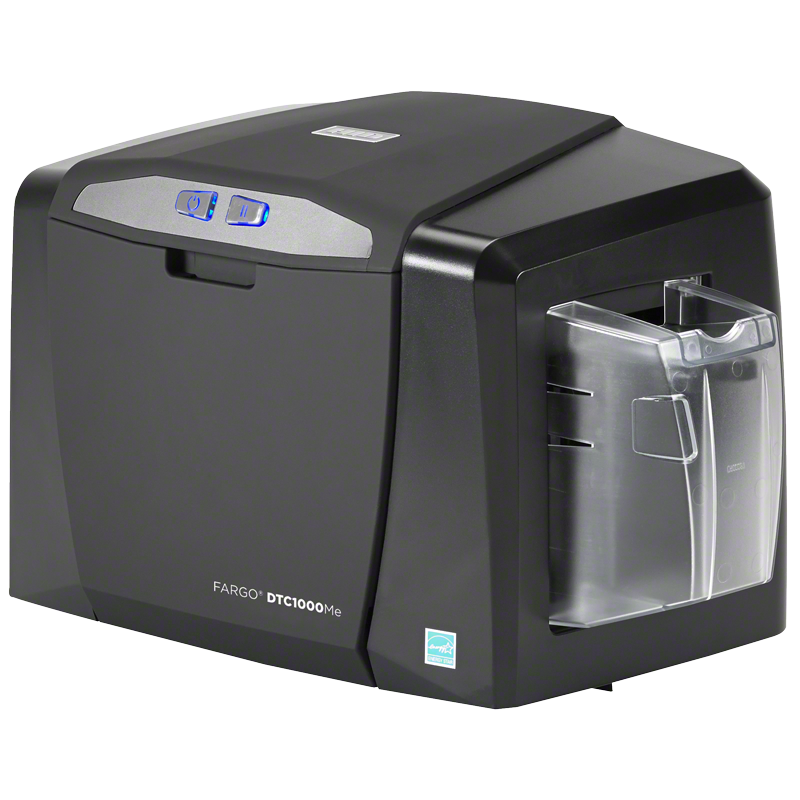 The HID FARGO DTC1000Me Monochrome ID Card printer and encoder delivers the ultimate simplicity in card printing personalization and is a cost-effective card issuance solution for casinos, financial services firms, small businesses and retailers. 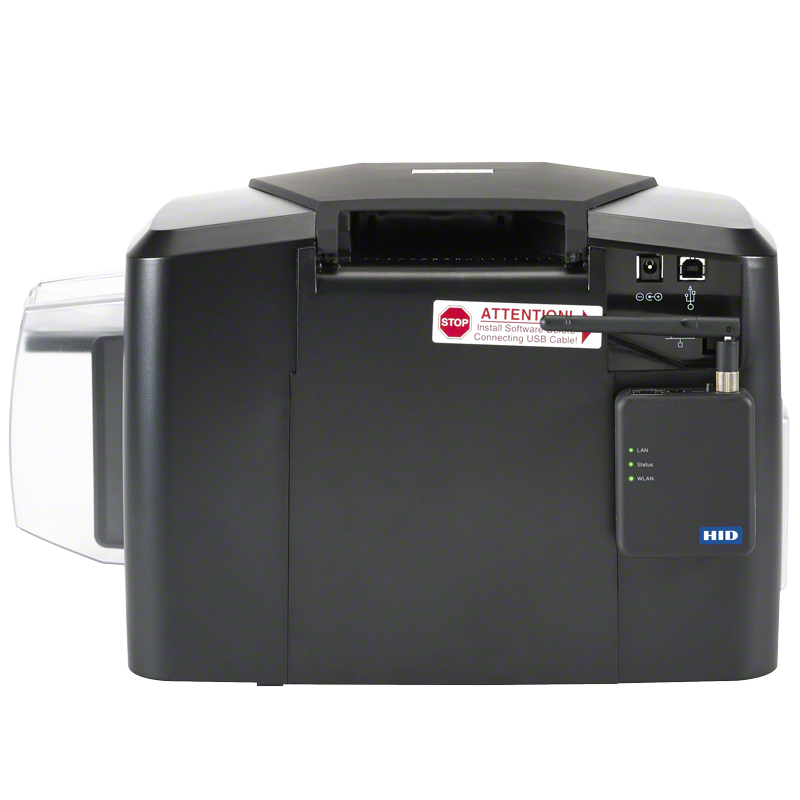 The DTC1000Me creates crisp black and-white images, barcodes and other alpha-numeric data for use with temporary employee IDs, visitor badges, payment or retail membership loyalty cards. Featuring Swift ID® badging software, the DTC1000Me ID printer helps you design custom ID badges without having to install any additional applications. Add the optional Wi-Fi® accessory to the DTC1000Me for a customer or employee ID card printing solution whenever and wherever you need it. 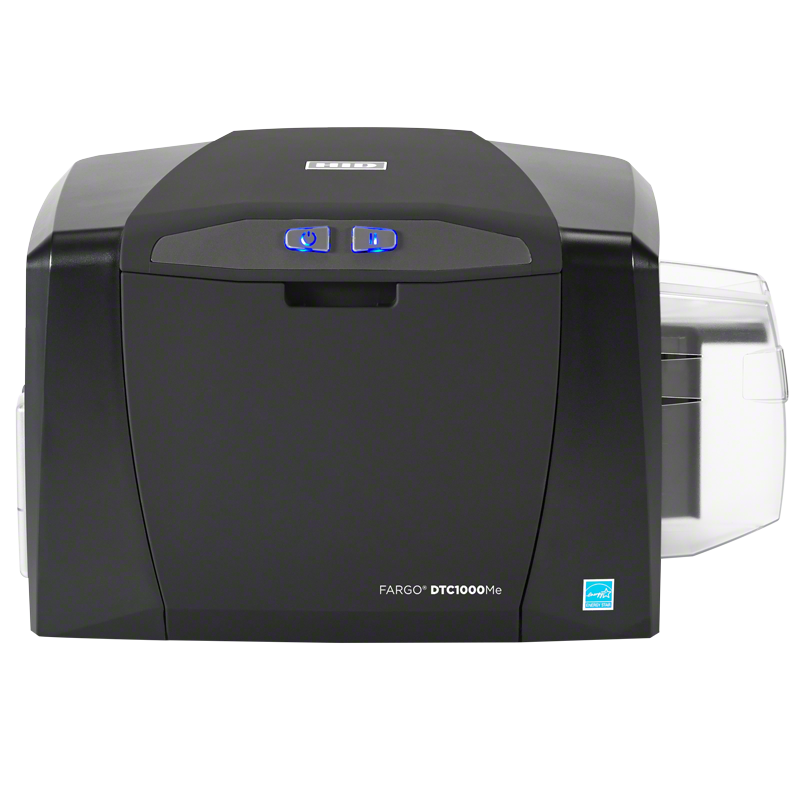 Backed by a global, three-year warranty each of our seventh generation FARGO ID printers can be seamlessly integrated to work with other HID products, ensuring that you receive and retain the maximum value from the most trusted name in card printing and secure identity solutions. Provides organizations with a high-performance, energy-efficient photo ID printing solution that supports corporate sustainability initiatives while reducing costs. Asure ID provides everything you need to design and populate a card. Try it and see for yourself! 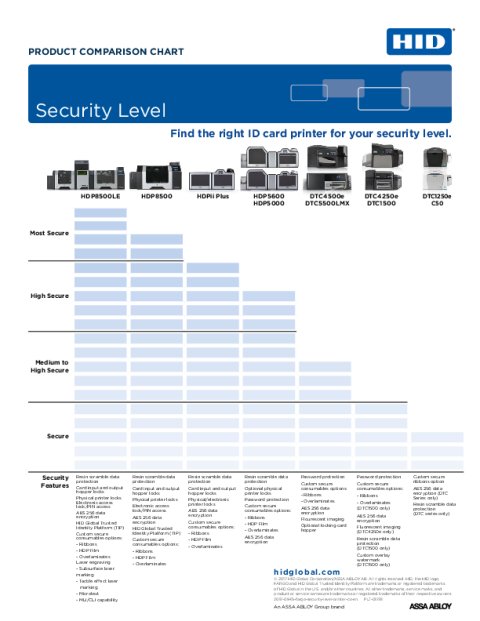 Helpful tips for evaluating which ID badge printer is best for you.